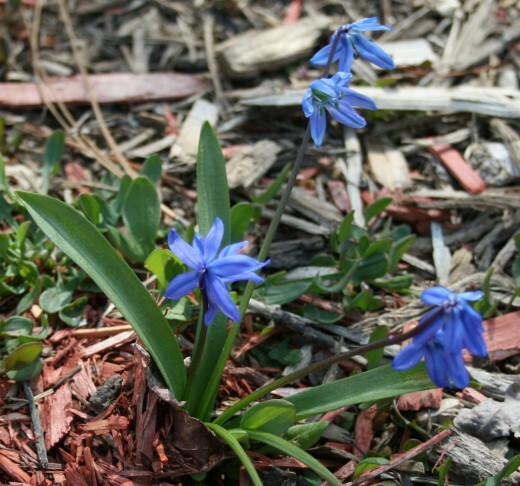 Spring bulbs are among the hardiest, most forgiving plants you can grow. Alliums, hyacinth, narcissus, scilla, snowdrops, tulips--how often do we plant them and then forget them, only to be delighted and surprised by their cheerful, colorful blooms in spring? At our house, spring bulbs have been stepped on by mail carriers, run over by teen drivers, hit by snow plows, eaten by voles, and accidentally dug up by gardeners and frisky dogs. Yet the majority of them bloom and reproduce year after year thanks to a handful of effective practices. 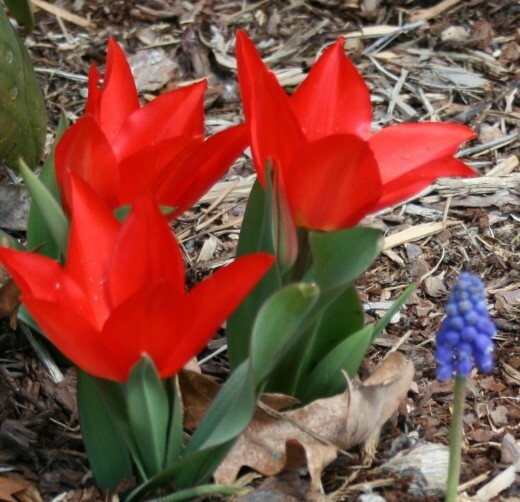 How can you grow long-blooming spring bulbs? Apply this low-nitrogen 3-5-3 mix around the shoots that emerge in early spring. 1. 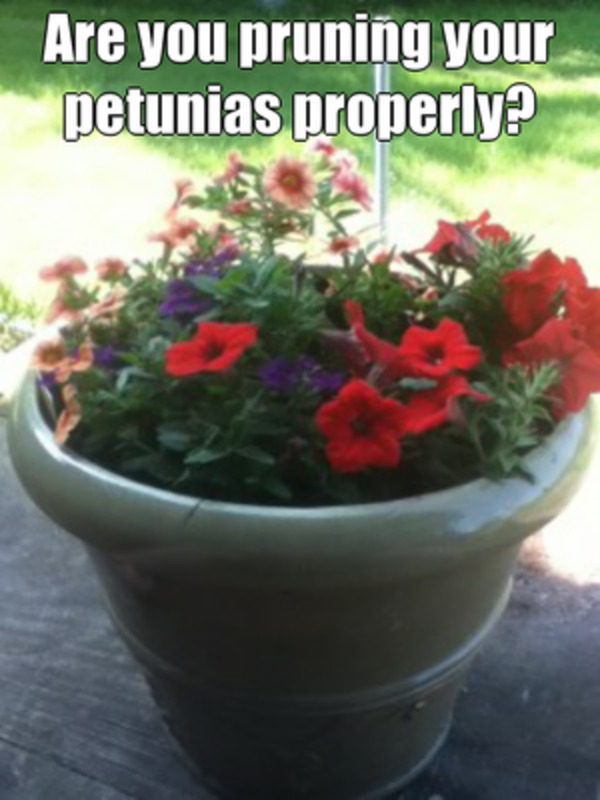 Fertilize at least twice a year. 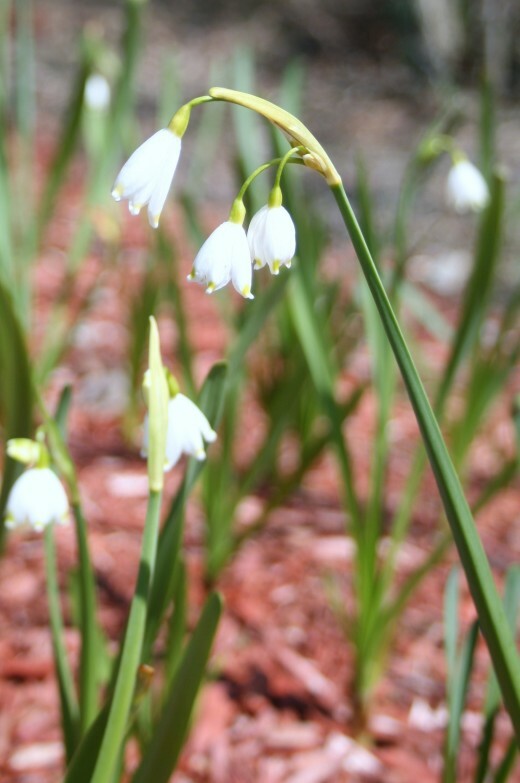 When their stems have just sprung from the ground, give spring bulbs a light application of low-nitrogen fertilizer. Organic fertilizer specifically made for bulbs is readily available online and at most home garden centers. Avoid fertilizers that are rich in nitrogen. 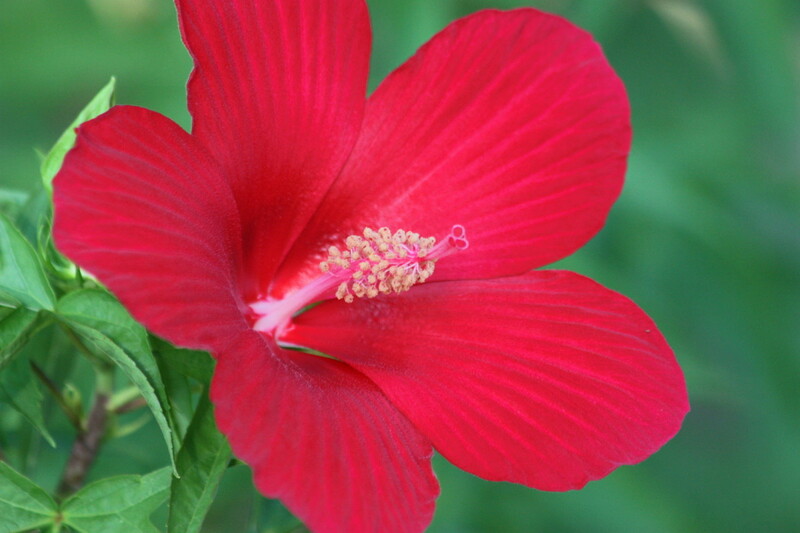 You want beautiful, long-lasting flowers, not lots of leaf growth. In the fall, apply bulb fertilizer again, as well as bone meal. 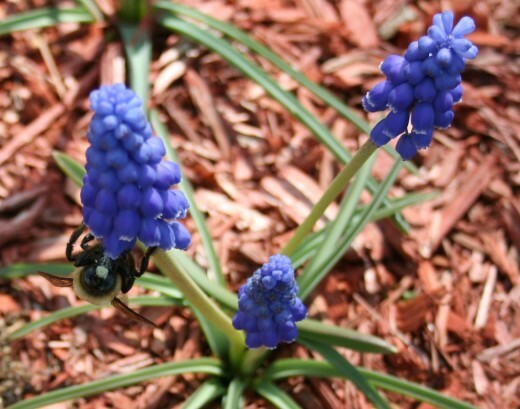 Should you fertilize spring bulbs once flowers have formed? Horticulturalists at Cornell University suggest applying 2 lbs. of low-nitrogen bulb fertilizer (5-10-5 or 5-10-10) for every 100 square feet. In my experience, this practice produces healthier bulbs long term. Many experts, however, discourage feeding bulbs when they're in bloom, claiming that it encourages rot. When you do fertilize, avoid applying it directly to stems and roots, which may burn them. Water thoroughly afterwards. 2. Remove mulch, and then mulch again. 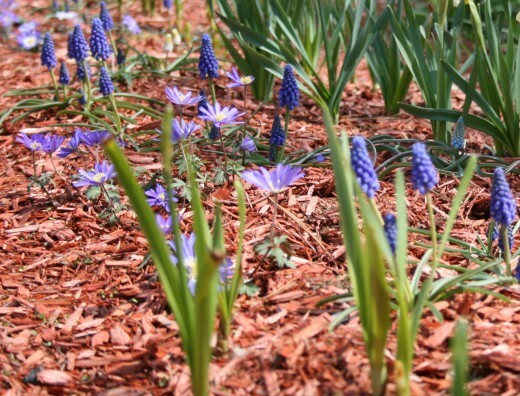 If you mulched your bulbs in the fall to protect them from severe freezing, pull the mulch back in early spring. 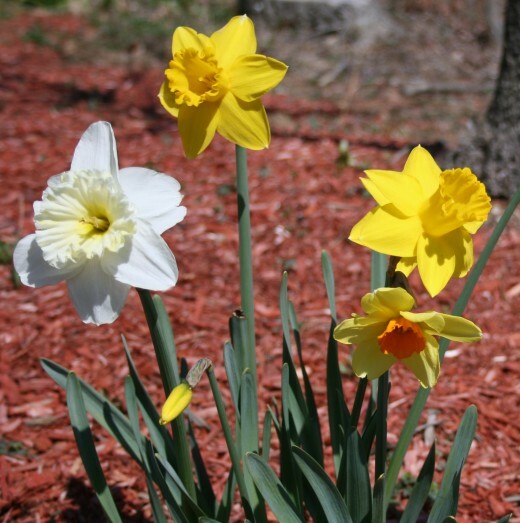 If your bulbs remain covered, they may develop weak, pale stems. Some shoots might even break as they struggle through their thick covering. Once strong, green shoots have emerged, you can mulch again, applying no more than 2 to 3 inches around plants. 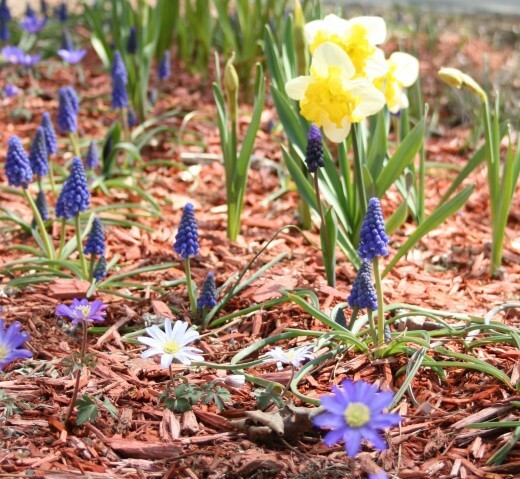 Small, early blooming bulbs, such as crocuses, don't require mulch. 3. When it comes to clean up, practice patience. When blooms shrivel and die, cut them off before they form seed pods. Seed pod formation requires energy, and the plant will use the food stored in its bulb. You don't want that. You want your bulbs to save their energy and store more of it so that they'll produce big, beautiful, long-lasting flowers next spring. That's why--even though it's tempting--you should not remove the foliage along with the faded flowers. 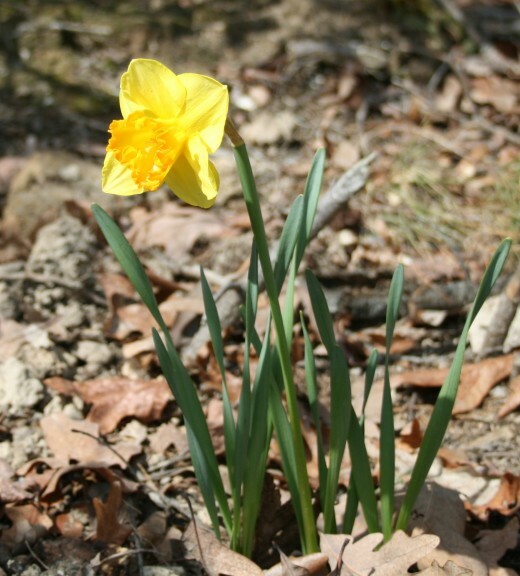 Bulbs need their leaves in order to produce and store food through photosynthesis. So be patient. Wait until leaves wither and turn yellow before removing them. This may take 2 to 3 weeks for tulips, alliums, daffodils, and other narcissus. 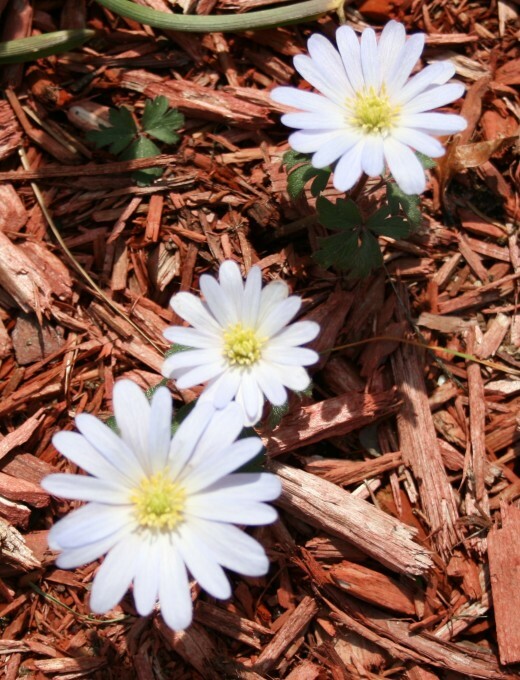 If you plant annuals between the fading bulb foliage, however, you'll keep your flower beds looking good. Planting early, mid, and late-blooming spring bulbs, as well as summer bloomers, in the same bed will also produce nonstop flowering. 4. Water in severe weather. 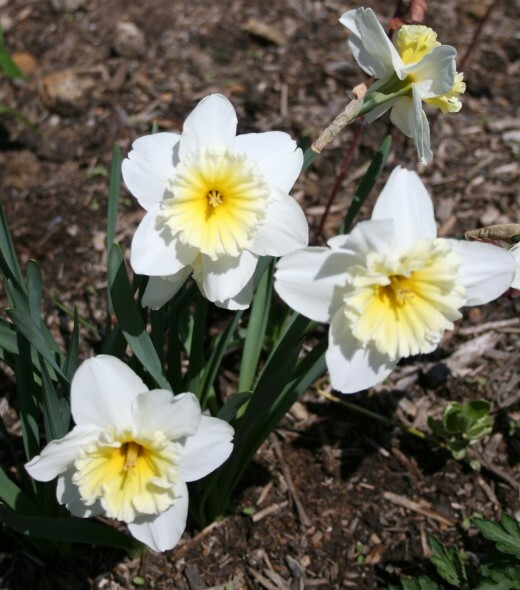 Ordinarily, rain water is sufficient for bulbs both before blooming and after. However, if the weather where you live is extremely dry and/or exceptionally hot, water once a week, soaking the ground well each time. Although spring bulbs don't require lots of intensive nurturing, over the years the hours and the dollars spent planting and caring for them can add up. To protect your investment, plant your bulbs well and guard them from weather and pest damage. As a general rule, plant bulbs at a depth 2 1/2 to 3 times their diameter. If they are planted too shallowly, they'll come to the surface as the ground freezes and thaws. When that happens, they'll probably rot or be eaten by squirrels, voles, deer, or other garden pests. If you need to move or divide your spring bulbs, wait until their foliage dies back in late spring or summer to dig them up and replant them. At this time, they'll have entered their dormancy period. Removing dead foliage reduces the likelihood of disease. It's also a good method for protecting your bulbs from squirrels and other pests that locate buried bulbs by scent. Voles don't like to dig in gravel, so if they're eating your bulbs, add gravel to the hole the next time you plant. Placing gravel on top of the soil sometimes works, too. 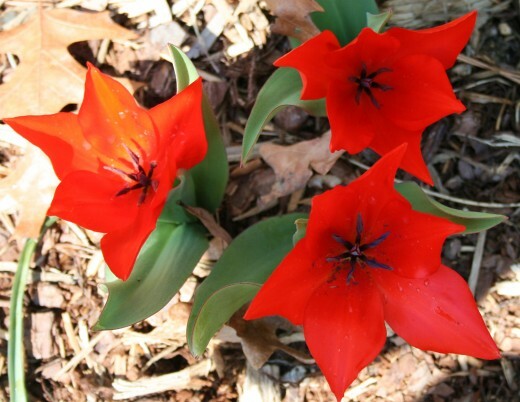 Liquid Fence and other smelly repellants can discourage deer from eating tulips. Unfortunately (and I speak from bitter experience) it will also encourage dogs to roll on your flowers. 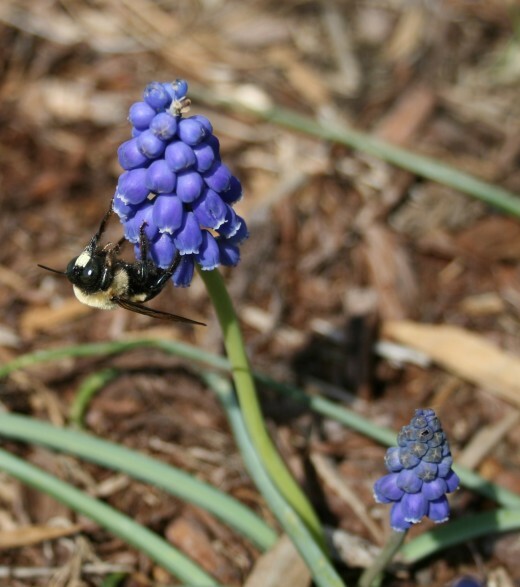 The easiest way to avoid pest problems is to select bulbs that they don't like to eat, such as daffodils, grape hyacinths, and alliums. What bulbs will you plant this fall? Need help choosing spring bulbs appropriate for where you live? Visit Bulb.com, the website of the International Flower Bulb Center. If you'd like information about bulbs that grow best in the U.S., click here. Planting times are included. Those who live in the sunshine state can check out the University of Florida Extension's Bulbs for Florida. 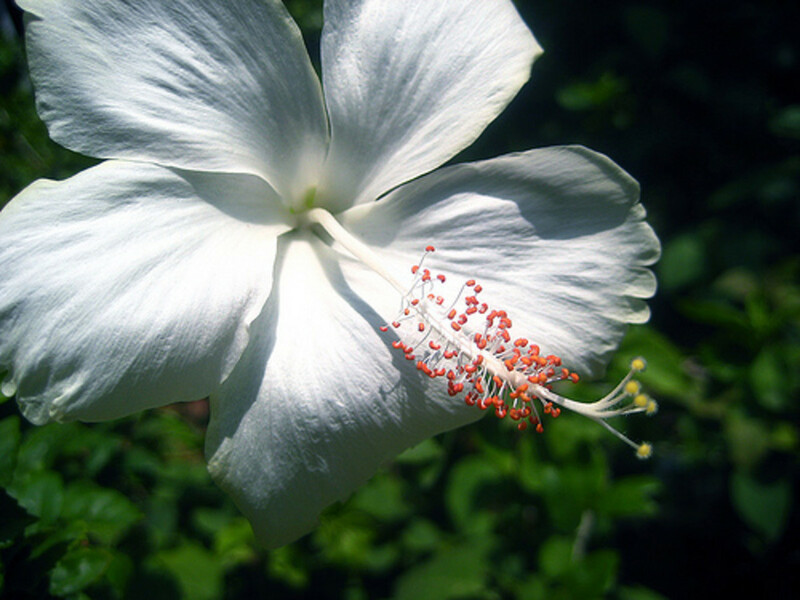 It provides specific details about bulbs that do well in tropical and subtropical regions. True bulbs are plants that store their entire life cycle underground in a storage organ, a.k.a. bulb. Tulips, narcissus, hyacinths, grape hyacinths, and alliums are all true bulbs. The word "bulb" also commonly refers to any plant that has an underground storage organ. Thus, corms, tubers, tuberous roots, and rhizomes are also often called bulbs. Crocuses have corms. 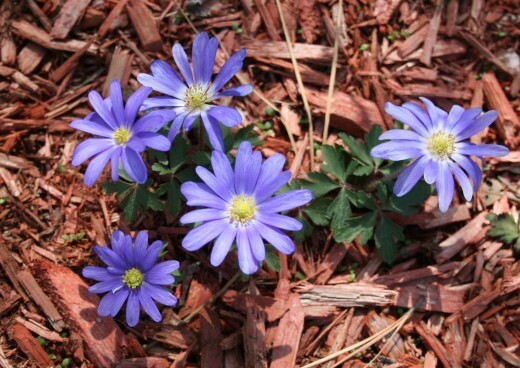 Anemones grow from tubers, dahlias from tuberous roots, and irises have rhizomes. Sometimes, particularly when planting and dividing, it's good to know the type of "bulb" you're growing. Thanks, Amylynne. Glad you stopped by. Happy gardening! Great information and very helpful to a beginner such as myself! Indeed appreciated the nice hub thank you! You're welcome, John! Good timing, huh? Thanks for stopping by. I was just discussing whether to fertilize our bulbs with my wife - thanks for the tips! Thanks! Not an expert, though. Just learning as I go. Great guide, and what gorgeous photos, too! Obviously you're an expert at cultivating truly beautiful spring bulbs!